Super sized tub of body glitter – If you wear it for more than a week, you will never need to apply it again! Bindi stick-ons: For that “oh so alternative” exotic look addition to your raver girl make up. Nail Polish: (All UV Reactive) Choice of: neon pink, neon green or neon orange. 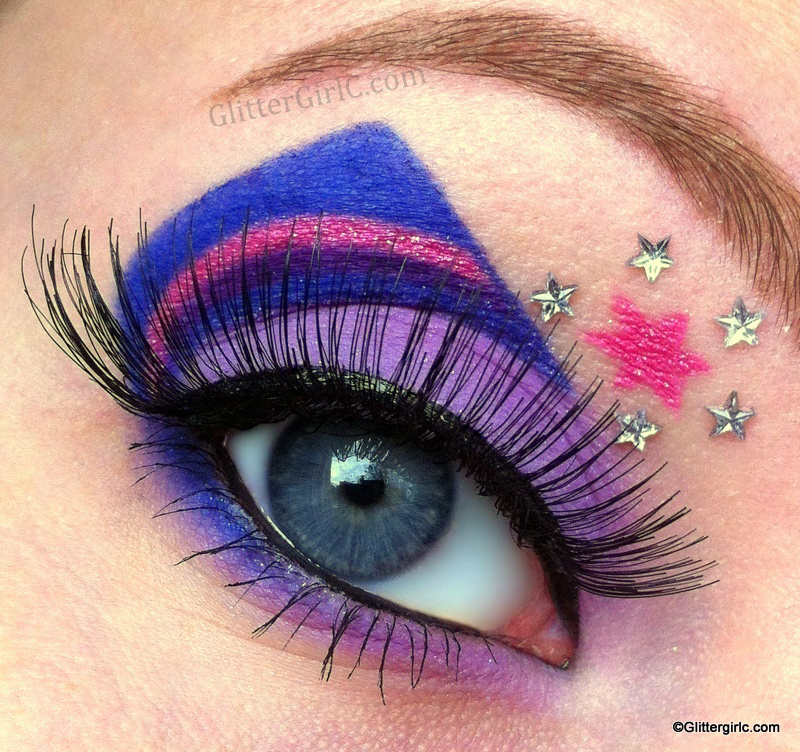 Pink eyeshadow: For that “test bunny on drugs” look.Even in the darkest of raves, you will still glitter like the sun!